What has NeeNee been listening to? Well…to be quite honest, I have actually been listening to The Boss’s [DGNA] “Why Goodbye” and History’s “What Am I To You” over and over again. I still love those songs that came out at the end of last year. That being said, I have two songs (again) from this month that have been sticking in my head and I’ve been playing them over and over again at night. What songs are they? It always amazes me just how deep Rome’s voice is when he’s rapping or “singing” because it doesn’t seem that deep when he’s talking (especially when he’s talking in English with his adorable Aussie accent). Anywho…ENJOY! 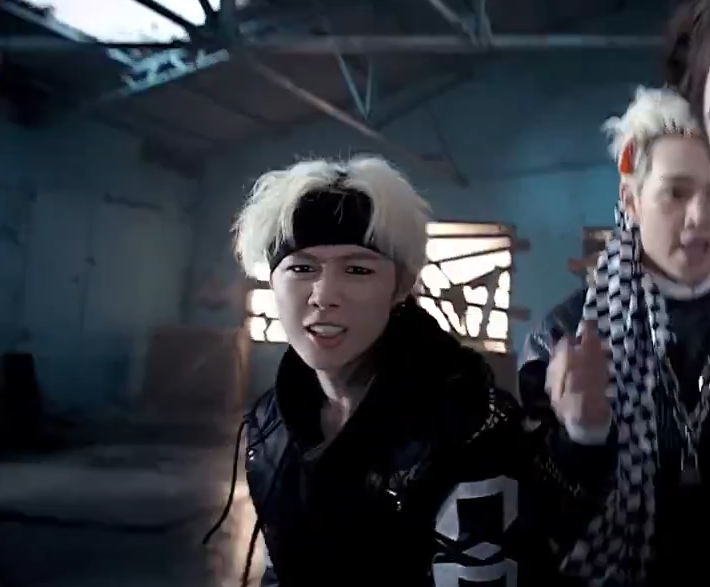 I’ll be putting up a screencap gallery for their MV later when I get home. And what is the second song that’s wiggled its way into my current listening affections? SPEED is back! Which is kind of weird, as I don’t remember too much of a buildup to their comeback. I love SPEED and when my funds aren’t super low any more, I think I’ll buy their new album “Circus.” While I highly recommend both songs we have videos for, I think “Wae Nan Ggok” which translates to something like “Why not me”, is my fave so far. Do I like the video? Not really, lol. I think it’s rather awkward when you start getting the guys deliberately looking into the camera while they dance (figuratively not literarly) around the girl who just broke up with the red head when they are supposed to be “confronting” her. One of these days, I’m going to get their names figured out. Oh…and I wasn’t enamored when the girl practically stuck the picture to the poor guy’s face and lit it on fire saying it was over. But…I LOVE the song. Yay! I thought it was funny because they had a song called “tell me love” & then came out with their latest in which the demand the girl to tell them her love, too.